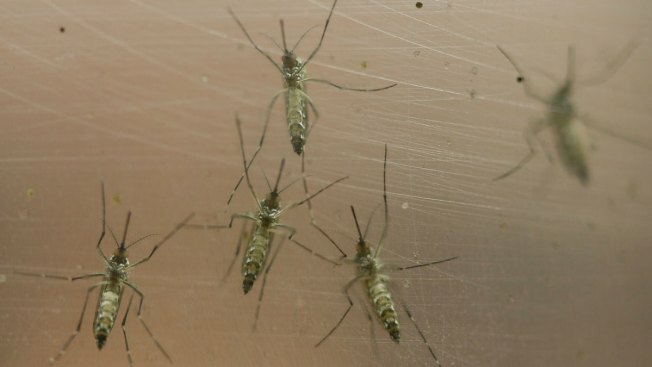 Global search interest in Zika has increased 3,000 percent since November. Female Aedes aegypti mosquitoes are kept in a container at the Biomedical Sciences Institute in the Sao Paulo's University, in Sao Paulo, Brazil, Monday, Jan. 18, 2016. The Aedes aegypti is a vector for transmitting the Zika virus. Google is donating $1 million to fight the spread of the Zika virus and offering engineers and data scientists help to determine where it will hit next. Google said in a blog post that it is in a good position to assist since its mission is to help people find information, and it has experience analyzing large sets of data. The company has seen a more than 3,000 percent increase in global search interest in Zika since November. "Fighting Zika requires raising awareness on how people can protect themselves, as well as supporting organizations who can help drive the development of rapid diagnostics and vaccines. We also have to find better ways to visualize the threat so that public health officials and NGO’s can support communities at risk," Google wrote. Google operates a group of businesses, including a dominant Internet search engine, under the holding company Alphabet Inc. Google brought in an operating profit of $6.8 billion in last year's fourth quarter. The Mountain View, California, company's grant will go to UNICEF and be used to help reduce mosquito populations and support the development of diagnostics and vaccines as well as work to prevent virus transmission. Google is also launching a matching campaign for its employees, aimed at providing an additional $500,000 to help support UNICEF and the Pan American Health Organization's work on the ground. Google's engineers are helping to build a platform to process data on things like weather and travel patterns to predict potential outbreaks. The company said the platform will be used to help government officials and others to decide where to focus their resources. The company also announced it is working with YouTube creators in Latin America, including Sesame Street, to help raise awareness about Zika prevention through their channels.